Thank you, Karen. I will definitely check that book out. Wish I had known about it before I did my Ashtabula jaunt. I will be posting images of all 17 Ashtabula County bridges. 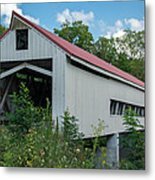 Mechanicsville Road Bridge is a covered bridge spanning the Grand River in Austinburg Township, Ashtabula County, Ohio, United States. 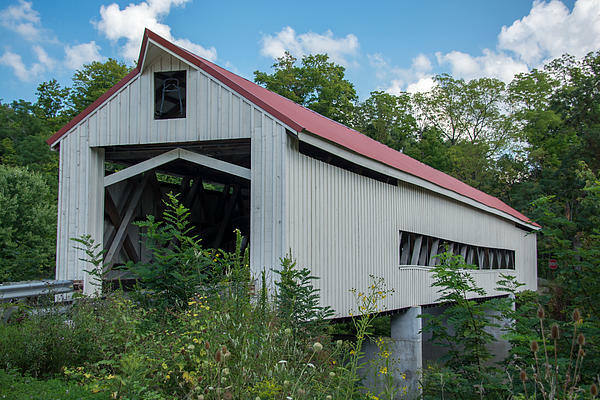 The bridge, one of currently 16 drivable bridges in the county, is the longest single span covered bridge in the county, and is believed to be the oldest in the county as well. 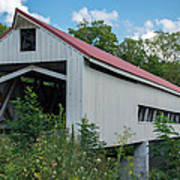 The bridge is a Howe truss design, with laminated arches added during its renovation in 2003-04. The bridge�s WGCB number is 35-04-18, and it is located approximately 4.3 mi southeast of Geneva.